Still it's unclear whether a good quarter for Lowe's means that housing is actually rebounding. One StockTwits trader raises the key question of whether profit improvement at Lowe's simply means that home owners are just improving homes they can't sell for what they consider fair value. 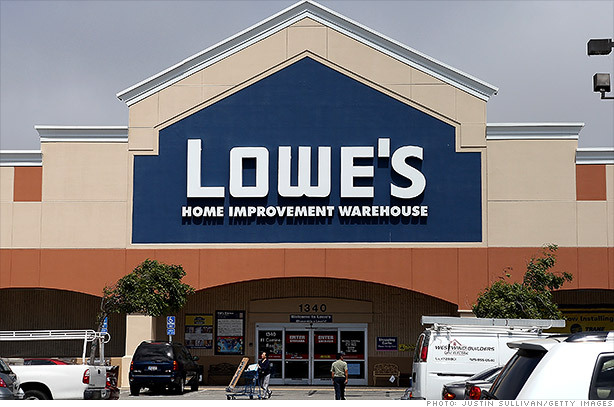 Meanwhile, as the second largest home improvement retailer, Lowe's suffers from the younger sibling complex. Traders will forever compare it to its larger rival, Home Depot (HD). Some traders thought that Lowe's didn't size up well enough. With Lowe's up 34% in 2012, some traders were simply willing to take profits from Lowe's robust quarter and move on.